A fairly straight par-5 with a narrow fairway protected by trees on the left and scrub oak on the right. The second shot is also challenging with a narrow fairway again with trees on the left and right. Longer hitters will have a chance to hit the green in two. Shorter hitter will have to lay up and play an approach shot to a slightly elevated green. A long par-3 that can be stretched to 200 yards with the tees all the way back. A difficult green to hit because of its elevation. 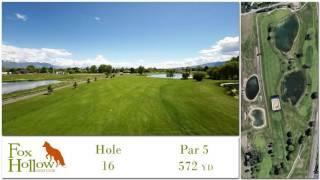 ​ A straight par-4 with trees on the right and scrub oak on the left. A short to medium approach shot to a medium sized green. The easiest hole on the golf course. Another straight par-4 with a wide open tee shot. Even a decent tee shot will leave you with a short approach. Long hitters can actually drive the green. 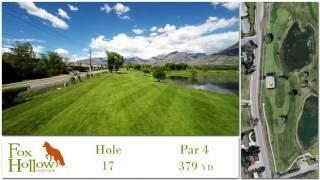 ​A long par-4 that is one of the most difficult holes on the golf course. It requires a tees shot to a narrow landing area. Too long (and left) off the tee and you are in the creek that runs along the left side of the fairway. Too short (and right) off the tee and you are in the pond. After the tee shot, the fairway dog legs to the right to an accessible green. ​ A par-4 that plays much like #6 with the creek on the left and trees on the left. A slight dog leg right that requires an accurate tee shot with a medium to short approach shot. Some big hitters attempt to go over the trees on the right and cut the corner. 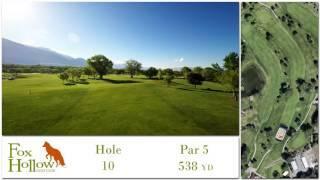 ​A par-3 that can be 140 yards to 175 yards depending on the placement of the tees. An approach over a pond to an elevated green makes it difficult to land it. Anything left of the green will hit the slope and bounce away. A reachable par-5 if the tee shot is long and to the left of the tree in the middle of the fairway. The fairway is wide but a creek on the left and the driving range on the right make the drive slightly uncomfortable. The green is slightly elevated and slopes back to front. A par-5 that requires you to “split the uprights” between two large trees. Trouble on the left with out of bounds markers and some trees and scrub oak to the right. A tee shot long and right will be blocked by some large trees. Normally a short approach shot to a flat green. A par-4 with a wide fairway and a medium to short approach shot. A tee shot short and left is trouble as is a tee shot long and right due to trees. The slope coming down from the elevated 12th hole tee box can block the view of the green for your 2nd shot if your tee shot is too far right. ​ The most difficult par-3 on the course. The tee shot from an elevated tee box is downhill and long-- really long with trees all along the left side that tends to push the shot right. With the tees at 210 yards, most players will need a long iron or a hybrid to an elevated green. A par here is a very good score. A long par-4 where the placement of the tees makes a big difference. When the tees are up, a good tee shot makes for a short and relatively easy approach shot. If they are back, the approach is a medium to long (200 yards) shot. The fairway is a slight dog-leg right with rough and trees on the right. Over the green with an approach makes for a very difficult pitch shot. A relatively easy medium length par-3. You want to be straight on this one. A big tree protects the left side of the green and trees on the right make for some tricky chip shots. The shortest par-4 on the course. The fairway is straight until it dog legs left at the end to an elevated green. Avoid the trees on the left. A good tee shot will be on the right side of the fairway to allow for a good approach angle into the green. Anything left on the fairway and you better have practiced a low chip shot to keep it under the overhanging tree branches. If you stay right, a birdie is a good possibility. A par-5 and the biggest risk/reward hole on the course. Ponds on the right and a fence line on the left. A long tee shot to the middle or right side of the fairway allows you to go for the green in two—although you’ll be playing your approach over the pond to a narrow green (front to back). If your tee shot is short, a lay up to the edge of the water or to the end of the fairway makes for a relatively short and easy approach shot. 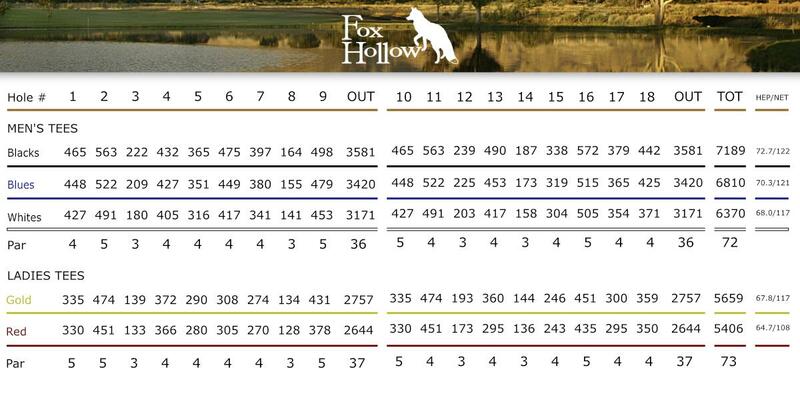 If you stick with your strategy, a relatively easy par and possibly birdie hole. 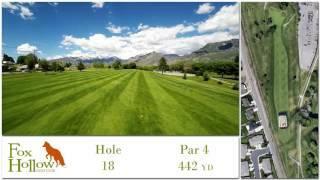 ​A medium length par-4 where an accurate tee shot is a must. Land your shot on top (left) of the slope and you have an easy approach to a large green. Misfire to the right and you can find yourself in a lot of trouble. If the tees are over to the right (instead of along the fence), some players lay up to the front of the pond and fire a medium approach shot into the green. Because of the slope of the fairway, an approach shot from here is to an elevated green. And if your approach comes up short, you’ll be in the water. A solid finishing hole. A long par-4 where a good drive will leave you with a medium approach shot to a slightly elevated green. A tee shot to the right will send you down the slope and leave a very difficult blind second shot. The big tree on the right also comes into play off the tee. The tee box is somewhat “off-set” so be careful to find a comfortable line of sight with your set up.